The party blamed Oyegun for attempting to exonerate his party of complicity on the embarrassing list of board members of federal parastatatals, which contained names of dead persons, adding that his excuses had further confirmed PDP’s position that the ruling party and its government were completely disorganised and ill-equipped for governance. National Publicity Secretary of the party, Kola Ologbondiyan, in a statement, yesterday, described Oyegun as a leader who had no answer to the incompetence and governance deficit of his party, stressing that his reaction further exposed the reasons for the nation’s wobbling economy. He said: “Is it not ridiculous, cowardly and a clear show of disorganisation in the government for the APC national chairman to try to exonerate his party from the failures and incompetence of a government, which the party formed? “Chief Oyegun’s comments amount to a vote of no confidence in the Presidency, but there is no way he can exonerate the APC, which he leads, from the failures of its own government. “The APC chairman must, therefore, shed his penchant for excuses and address burning issues of misrule of the APC government. We challenge the APC national chairman to address the issue of collapsing economy with its attendant eight million job losses and countless business closures which has caused hardship on families across the country, all due to bad policies and incompetence of the government. “Nigerians are still waiting for the APC national chairman to address the issue of the biting fuel crisis also caused by the inept government. 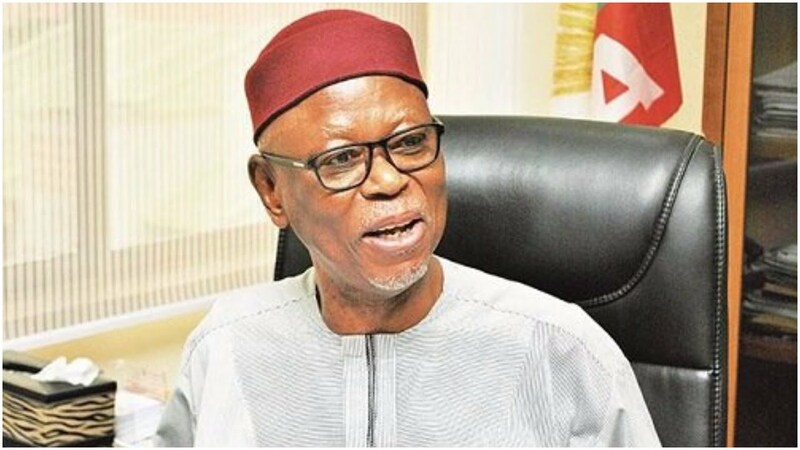 “What has Oyegun to say about the now exposed corruption in the APC-led Federal Government, including sharp practices in hidden oil subsidy payouts, illegal lifting of crude worth trillions of naira to service APC interests and the unabated depletion of Nigerians foreign financial instruments by his party’s government? “The nation is also waiting for the APC national chairman to come up with explanations on the failure of his government to fulfil its campaign promises and why the fight against corruption has been lopsided with APC members who were publicly indicted of corruption now openly enjoying government cover. “Our advice to the APC therefore, is that they should spare Nigerians their excuses. They should also spare us their lies and fake promises as citizens will never allow themselves to be deceived again as was the case in 2015,” the party stated.